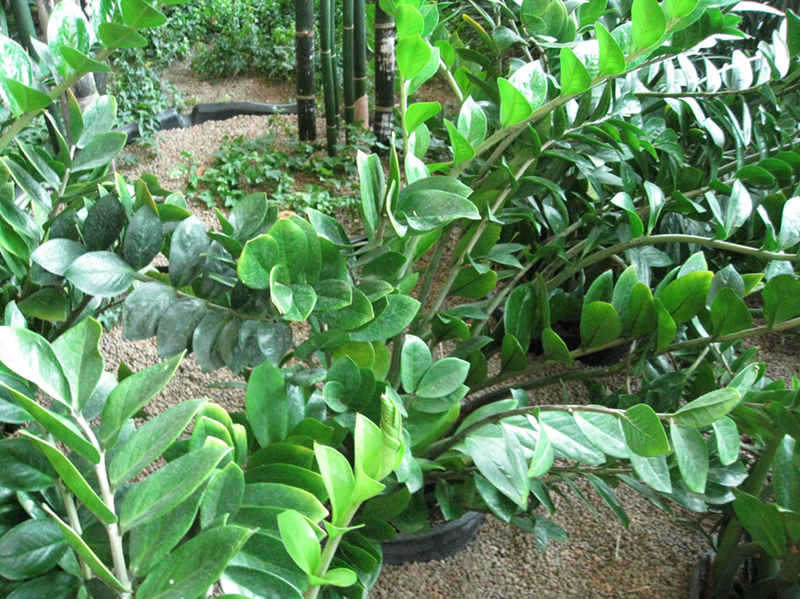 Comments: The ZZ plant is becoming quite popular in the trade because it makes an excellent container plant that does not require a lot of attention. It is native to warm, dry grasslands and can thus tolerate relatively dry soils, but cannot tolerate freezing temperatures. The thick leaflets can fall to the ground and form small bulblets.